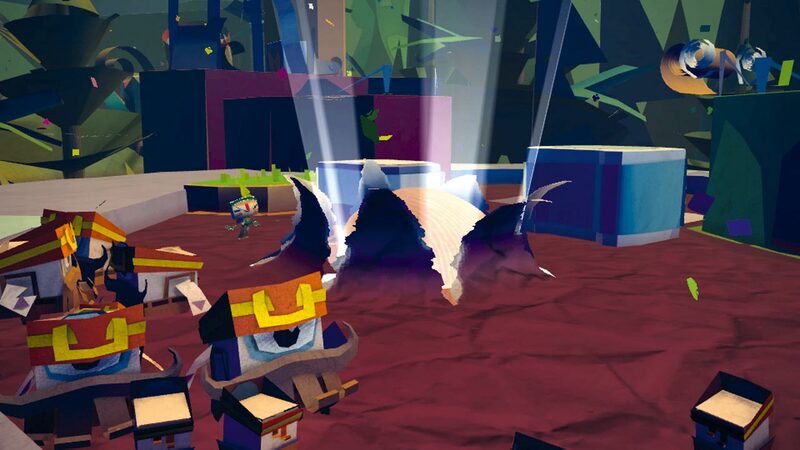 Media Molecule and Sony Computer Entertainment bring us Tearaway, the cutest little paper game for the PlayStation Vita. How am I just now realizing this game exists? Well, will soon exist. This is the cutest thing ever! Check out the video below while I watch it for the 5th time and compose myself. Now that my girlish screams have subsided and I am able to take a good look at this game, it still looks like fun! You play as ” The Messenger” either as a male, Iota or a female, Atoi. You are on a quest to deliver your message. You explore a wonderland of paper-created worlds in this 3D platforming game, and you are never quite sure what lies around the corner. The game appears to take advantage of the PlayStation Vita’s controls, touch screen and more. There are places to jump, throw things and even a spot or two where you get to create gusts of wind. Players will need to tilt the Vita at times and I seem to recall seeing the camera being used in-game as well. I can’t wait to see more about this Tearaway in the coming months. Is anyone else looking forward to this game or have I just enjoyed things like Little Big Planet far too much?